Some of Silicon Valley’s most prominent billionaires are making a big push to guide the tech world’s entrepreneurs into biotech.Backing the Breakthrough Prize in Life Sciences are Yuri Milner; Sergey Brin and Anne Wojcicki; and Mark Zuckerberg and Priscilla Chan. Fittingly, they’re making the announcement at the University of California at San Francisco’s Genentech Hall, a building named after one of the Bay Area’s biotech standouts. Those names are tech royalty. Milner, the head of DST Group, made a prescient private investment in Facebook that has grown almost tenfold in value. 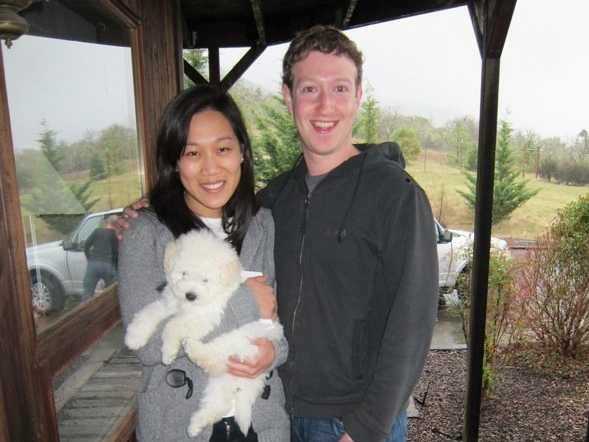 Zuckerberg is the cofounder of Facebook, and is married to Chan, a physician who graduated from Stanford’s medical school last year. Brin is the cofounder of Google; he is married to Wojcicki, who is the cofounder of a biotech startup, 23andMe. Chairing the foundation behind the prize is Art Levinson, the former CEO of Genentech who is now chairman of Apple’s board. It’s a small piece of their respective fortunes, but these tech billionaires are making a statement. Consumer Internet startups seem to be all that grip people’s imaginations these days, with angel investors banking the small fortunes they made in the past decade’s IPOs into social, mobile startup ideas they feel comfortable with. But it is also a monumental challenge to get a large number of people focused on the life sciences. Biotech moves on a slower time scale than information technology. And while Silicon Valley’s biotech industry is strong, it is still poorly integrated into the rest of the tech economy, with glaringly little exchange of ideas between the sectors. Of late, eye-catching, multimillion-dollar prizes have become a popular way to get people focused on new sectors deemed too risky for traditional venture-capital investment, like space exploration or robot cars—witness the X Prize and the DARPA Challenge. So the Breakthrough billionaires are proposing something simple: Less talk. More money. That might actually make a difference.